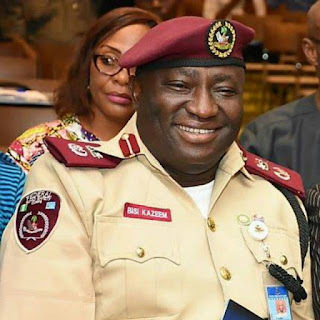 The Federal Road Safety Corps (FRSC) has described as successful its special traffic management operation at Saturday’s National Convention of the ruling All Progressives Congress (APC) in Abuja. In a statement on Saturday evening, the Corps Public Education Officer, Mr Bisi Kazeem, said the FRSC, in collaboration with other relevant agencies, effectively handled the traffic situation occasioned by the event. The convention, which held at the Eagle Square, drew thousands of party leaders, delegates and other members from the country, resulting in an upsurge in both vehicular and human traffic. Combined teams of traffic management and security agencies, including the FRSC, Nigeria Police Force, Civil Defence and the FCT Directorate of Road Traffic Services, diverted vehicular traffic from both ends of the Shehu Shagari and Ahmadu Bello Ways leading to the venue. The FRSC alone deployed 1000 personnel, 30 patrol vehicles, five ambulances, 10 motorcycles and three tow trucks for the exercise. Kazeem said, “Our men blocked areas like Benue Plaza, Bullet Junction, Finance Junction, Three Arms Zone, Bayelsa House Junction and Mosque Junction. ``We also deployed men and logistics to Eagle Square gates, parks and the Old Parade Ground. Twelve vehicles and five bikes were used for piloting of delegates.